British finance minister Philip Hammond has apologised for describing the European Union as "the enemy" in the Brexit negotiations, an embarrassing stumble for a man who is under fire from within his own party over his approach to the talks. In an interview with Sky News television on Friday, Hammond tried to quell the anger among some Conservatives who have accused him of taking too soft a line with Brussels. Pro-Brexit newspapers have this week called for him to be sacked. "I understand that passions are high, I understand that people have very strong views about this, but we are all going to the same place, we all have the same agenda," he said in the interview on the sidelines of International Monetary Fund meetings in Washington. "The enemy, the opponents, are out there on the other side of the table. Those are the people that we have to negotiate with. We have to negotiate hard to get the very best deal for Britain," Hammond said. Shortly afterwards, Hammond sought to limit the damage. "In an interview today I was making the point that we are united at home. I regret I used a poor choice of words," he wrote on Twitter. "We will work with our friends and partners in the EU on a mutually beneficial Brexit deal." 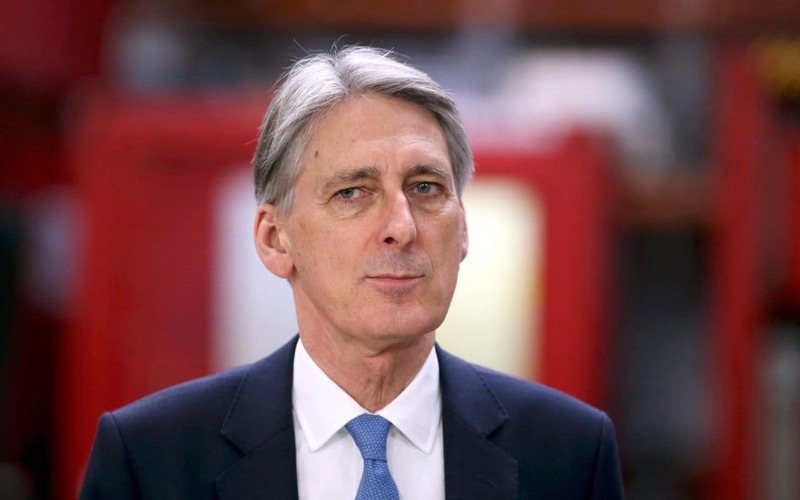 Hammond infuriated pro-Brexit newspapers this week and was criticised by some Conservatives, including former finance minister Nigel Lawson, for not agreeing to spend money now on preparations for the possibility of Britain leaving the EU without a deal. Speaking to media in Washington on Friday, Hammond declined to say whether he would vote for Brexit if there were a second referendum. Hammond campaigned for Britain to remain part of the EU ahead of the June 2016 vote. Echoing Prime Minister Theresa May's own reticence on the issue, Hammond declined to say how he would vote if another referendum were held now. "We've had the referendum," he told the BBC. "You know how I voted in it." Earlier this week May declined to answer a similar question, stoking concerns among Brexit supporters that she is not fully committed to taking Britain out of the EU. On Thursday May's spokeswoman said the prime minister had full confidence in her finance minister.